Seventeen years ago on this day I was soaking at Stewart Hot Springs in Northern California enjoying a one-day retreat and massage. I heard musings about the attack on the World Trade Center there, but didn’t take it seriously until the next day when I returned to my offices at the Ashland Resource Center on Oak Street across from the Historic Ashland Armory and saw live news coverage for the first time. The news anchors were babbling incoherently as the events were unfolding before our eyes. I knew then and understood clearly that my life, all our lives would change forever in America. For those who survived, for those who died and for those who bravely gave their lives in service to others may you be forever blessed and remembered. Six years ago I went to Ground Zero and took this picture looking out from an adjacent building. Over the past 15 years many highly respected academics and experts have come forward to challenge the official narrative on the collapse of the WTC towers forwarded by the U.S. government. The official government position holds that the collapse of all three towers was due to intense heat inside of the buildings. While many in the mainstream have attempted to label anyone questioning the official narrative as “tin foil hat” conspiracy theorist, many highly respected experts have come forward to lampoon the idea that the buildings collapsed due to the intense heat and fires following two terrorist-directed plane crashes. “Given the far-reaching implications, it is morally imperative that this hypothesis be the subject of a truly scientific and impartial investigation by responsible authorities,” the four physicists conclude in the damning report. The new study is the work of Steven Jones, former full professor of physics at Brigham Young University, Robert Korol, a professor emeritus of civil engineering at McMaster University in Ontario, Canada, Anthony Szamboti, a mechanical design engineer with over 25 years of structural design experience in the aerospace and communications industries and Ted Walter, the director of strategy and development for Architects & Engineers for 9/11 Truth, a nonprofit organization that today represents more than 2,500 architects and engineers. The comprehensive study in Europhysics Magazine directly challenges the official narrative and lends to a growing body of evidence that seriously questions the veracity of the government narrative. In 2002, the National Institute of Standards and Technology remarked that the case was exceptionally bizarre. There were no other known cases of total structural collapses in high-rise buildings caused by fires and so it is deeply unusual that it should have happened three times in the space of one day, noted NIST. Official investigations have never been able to thoroughly and coherently explain how this might have happened and various teams tasked with examining the collapse have raised difficult questions about the veracity of the government’s story. Perhaps most damning of all, the experts claimed that after a thorough forensic analysis of video footage of the building’s collapse, it revealed signs of a controlled implosion. Additionally, Jones has co-authored a number of papers documenting evidence of unreacted nano-thermitic material in the WTC dust. 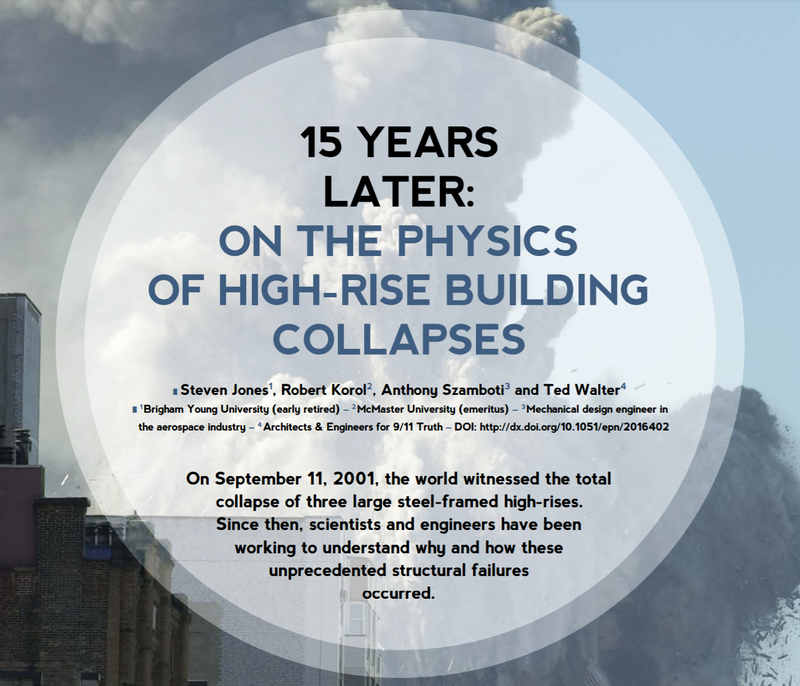 The authors of the study note that the buildings fell with such speed and symmetry that they there was no other feasible explanation for the sudden collapse at free fall speeds – directly refuting studies that attempted to debunk the idea that the building fell without resistance. These respected experts’ new forensic analysis only adds to the growing movement of people calling for a new and impartial investigation into the collapse of the World Trade Center. Revealing the scope and breadth of public disbelief in the official government narrative surrounding the events of 9/11, even presidential candidate Jill Stein has recently called for a new investigation. The European Center for Constitutional and Human Rights has filed a criminal complaint against U.S. torture program architects and members of the Bush Administration. The organization has accused CIA director George Tenet and Defense Secretary Donald Rumsfeld of war crimes and they’ve called for a German prosecutor to conduct an immediate investigation. This move follows the release of the damning Senate report on CIA torture that includes the case of German citizen Khalid El-Masri, who was captured in 2004 by CIA agents in a case of mistaken identity. The report revealed the shocking contrast of democracy and corruption. Bizarrely, the only person involved with the CIA torture program who has been charged with a crime is the man who exposed the war crimes — whistleblower John Kiriakou. The relevant parties in this case have given an extensive interview to Democracy Now. Some of the important points are below. Ratner is the author of The Trial of Donald Rumsfeld: A Prosecution by Book. Khalid El-Masri was on vacation in Skopje, in Macedonia, when he was pulled off of a bus by government agents, sodomized with a drug, and taken to the secret base that was identified only as Cobalt in the CIA torture report. After four months, and after the United States learned of the mistaken identity, they left him there and continued to torture him. They held him further because the U.S. realized they had been torturing the wrong man. Afterwards, they released him, dropping him off somewhere to resume his life. [translated] I was the only one in this prison in Kabul who was actually treated slightly better than the other inmates. But it was known among the prisoners that other prisoners were constantly tortured with blasts of loud music, exposed to constant onslaughts of loud music. And they were—for up to five days, they were just sort of left hanging from the ceiling, completely naked in ice-cold conditions. The man from Tanzania, whom I mentioned before, had his arm broken in three places. He had injuries, trauma to the head, and his teeth had been damaged. They also locked him up in a suitcase for long periods of time, foul-smelling suitcase that made him vomit all the time. Other people experienced forms of torture whereby their heads were being pushed down and held under water. We need to throw our full support behind this investigation and our government and the Obama administration needs to not impede it in any way. This is a harsh indictment of our hypocrisy as a nation when it comes to democracy and corruption. There was considerable misinformation disseminated then about what was and wasn’t achieved using these methods in an effort to discourage support for the legislation. There was a good amount of misinformation used in 2011 to credit the use of methods with the death of Osama Bin Laden, and there is, I fear, misinformation being used today to prevent the release of this report, disputing its findings and warning about the security consequences of their public disclosure.With the report’s release, will the report’s release cause outrage that leads to violence in some parts of the Muslim world? Yes, I suppose that’s possible, perhaps likely. Sadly, violence needs little incentive in some quarters of the world today. But that doesn’t mean we will be telling the world something it will be shocked to learn. The entire world already knows that we waterboarded prisoners. It knows we subjected prisoners to various other types of degrading treatment. It knows we used black sites, secret prisons. Those practices haven’t been a secret for a decade. Terrorists might use the report’s reidentification of the practices as an excuse to attack Americans, but they hardly need an excuse for that. That has been their life’s calling for a while now. What might cause a surprise not just to our enemies, but to many Americans is how little these practices did to aid our efforts to bring 9/11 culprits to justice and to find and prevent terrorist attacks today and tomorrow. That could be a real surprise since it contradicts the many assurances provided by intelligence officials on the record and in private that enhanced interrogation techniques were indispensable in the war against terrorism. And I suspect the objection of those same officials to the release of this report is really focused on that disclosure; torture’s ineffectiveness. Because we gave up much in the expectation that torture would make us safer. Too much. Obviously, we need intelligence to defeat our enemies, but we need reliable intelligence. Torture produces more misleading information than actionable intelligence. And what the advocates of harsh and cruel interrogation methods have never established is that we couldn’t have gathered as good or more reliable intelligence from using humane methods. The most important lead we got in the search for Osama Bin Laden came from conventional interrogation methods. I think it’s an insult to the many intelligence officers who have acquired good intelligence without hurting or degrading suspects. Yes, we can and we will. But in the end, torture’s failure to serve its intended purpose isn’t the main reason to oppose its use. I have often said and will always maintain that this question isn’t about our enemies, it’s about us. It’s about who we were, who we are and who we aspire to be. President Obama is apparently thinking about his presidential library. So now might be a good time to ponder whether anyone will want to visit it. 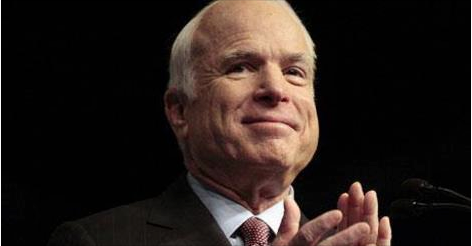 If he cared about revivifying his brief reputation as a good-guy outsider ready to shine light on the hidden recesses of our governing apparatus (remember his election-night victory speech that brought tears and rare hope to America? ), Obama could certainly start at this late date by taking a stand for transparency. 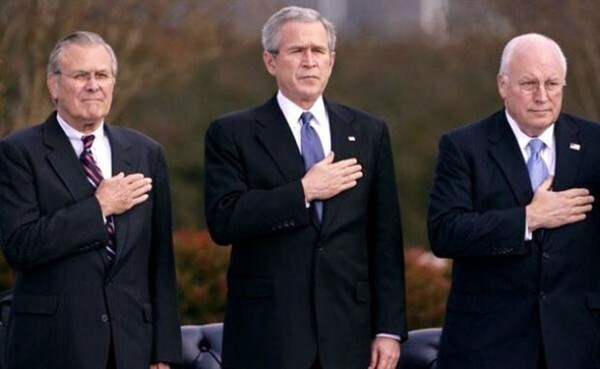 Here’s how: Two Congressmen, a Democrat and a Republican, are asking Obama to declassify the congressional report on 9/11, which the Bush administration heavily redacted. The two members of the House of Representatives have read the blacked-out portions, including 28 totally blank pages that deal largely with Saudi government ties to the alleged 9/11 hijackers. This is apparently major connect-the-dots stuff—much more significant than what one may remember from Michael Moore’s film Fahrenheit 911, about Saudi royals and other Saudis studying and living in the US, who were allowed to go home without being interviewed in the aftermath of the attacks. This is about actual financial and logistical support of terrorism against the United States—by its ally, the Saudi government. The two outspoken Representatives, Walter Jones (R-NC) and Stephen Lynch (D-Mass) would be violating federal law if they offered any specifics about what they know, or even named any countries mentioned—but did say they were “absolutely shocked” by revelations of foreign state involvement in the attacks. Now, they want a resolution requesting Obama declassify the entire document. If the media were to do its job and create the kind of wall-to-wall coverage it bestows upon, say, inter-spousal murder trials, Obama might feel he had to release the full 9/11 report. He’d have to concede there is a public right to know, or at least explain in detail why he doesn’t think so. Either way, there would be major fireworks. But we’re not betting on either the president or the media doing the right thing. How much publicity is this enormously significant story getting? Very, very little. A search of the Nexis-Lexis database turned up just 13 articles or transcripts. One was a very short, cautious piece from the Boston Globe. One was a transcript of TV commentator Lou Dobbs on Fox News. All of the others were specialty or ideological publications or blogs—Investor’s Business Daily, the Blaze, Prairie Pundit, Right Wing News, etc. (CNN’s Piers Morgan did interview Rep. Lynch). Nothing showed up from the New York Times, Washington Post, Politico, MSNBC or the broadcast networks. But two House members, one a Democrat, one a Republican, explicitly calling for the President to make the full report available? That’s certainly news. If President Obama does declassify the records, that would be surprising, if not outright shocking. Although he has belatedly (and under heavy pressure from his base) begun to shift more toward at least the rhetoric of openness, Obama failed to stand up for release of still-classified documents related to the John F. Kennedy assassination (a half century after that tragedy), and he has presided over myriad actions that take us further than ever from transparency. Meanwhile, the media has all but abdicated its responsibility to hold the administration’s feet to the fire on these and related matters. At WhoWhatWhy, we understand how hard it is to get this kind of material into the hands of the American people. 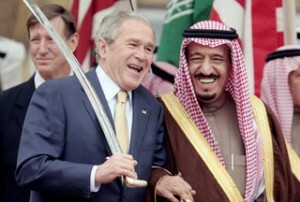 Our groundbreaking reporting on ties between prominent and powerful Saudis and the men said to have been on the planes attacking on September 11 (via a house in Sarasota, Florida) was almost entirely ignored by the establishment media, including many so-called “alternative” and “progressive” outlets, though it has nonetheless spread widely thanks to the Internet and social media. Even the above-mentioned New York Post only now has acknowledged our reporting on the Saudi-Sarasota connection, without mentioning our name or linking to us. No matter. The significance is that others have come forward to ask tough questions about the daunting reach and self-protective reflexes of our government’s ever-expanding “secret sector.” With a related meta-issue—NSA surveillance—odd bedfellows like “leftie” Glenn Greenwald and “rightie” Larry Klayman (with a Bush appointed judge ruling in his favor) are going at the surveillance state simultaneously, mightily aided by former intelligence analyst Edward Snowden. Whatever one thinks of the 9/11 story—and one needn’t buy the more extreme theories to be open to examining new, documented facts—there’s clearly more to that trauma than we have been allowed to know; and we suspect there are many more establishment figures with a hunger for the truth. And once more “respectable” Washington insiders like House (and Senate) members start saying shocking things—well, that’s a man-bites-dog story few news organizations can turn down. As for the executive branch, representatives of the State Department, Department of Justice and FBI have repeatedly denied knowing anything about the Saudi angle. If those documents are ever declassified, the denials themselves—and those issuing those denials—should also be news.